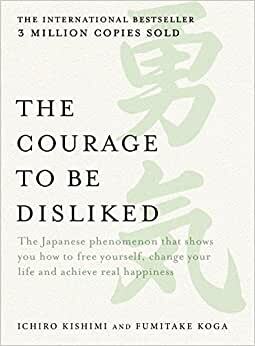 Released for the first time in the English language, the Japanese phenomenon that teaches us the simple yet profound lessons needed to liberate our real selves and find lasting happiness. A single book can change your life. Start reading The Courage to be Disliked on your Kindle in under a minute. Ichiro Kishimi was born in Kyoto, where he still lives, in 1956. He has aspired to become a philosopher since his days in high school. Since 1989, while specialising in Classical Western philosophy, with a special focus on Platonic philosophy, he has researched Adlerian psychology; he writes and lectures on the subject, and provides counselling for "youths" in psychiatric clinics as a certified counsellor and consultant for the Japanese Society of Adlerian Psychology. He is the translator, into Japanese, of selected writings by Alfred Adler: Kojin Shinrigaku Kogi (The Science of Living) and Hito wa Naze Shinkeisho ni Naru no ka (Problems of Neurosis), and he is the author of Adora Shinrigaku Nyumon (Introduction to Adlerian Psychology), in addition to numerous other books. Fumitake Koga, an award-winning professional writer and author, was born in 1973. He has released numerous bestselling works of business-related and general non-fiction. He encountered Adlerian psychology in his late twenties, and was deeply affected by its conventional wisdom-defying ideas. Thereafter, Koga made numerous visits to Ichiro Kishimi in Kyoto, gleaned from him the essence of Adlerian psychology, and took down the notes for the classical "dialogue format" method of Greek philosophy that is used in this book.